Visitors to Seoul are often eager to seek out out a "Korean royal cuisine" to the point you can walk around Insadong or any other neighborhood near the palaces and find restaurants advertising such in multiple languages. Now most of these restaurants are ok on their own and they make for nice IG-worthy pictures with the numerous colorful main and side dishes laid out on a table. Unfortunately most of these places succeed more on quantity than anything as copious amounts of japchae, roots, and sides are prepared en masse with nary a thought to what's in season. In fact, many of these restaurants have largely franchised to gimmicky restaurants with a few traditional motifs in the restaurant design and food brought out on pace and quality that may constitute as being bordering, fast food level. Real upper class Korean cuisine in the past was grand not only in the number of dishes but also their meticulous preparation and use of seasonal ingredients. There's a reason behind for why so many dishes Koreans associate with certain seasons and holidays to this day because so many of them revolved around what was seasonal. Taking all of this into consideration, the place I'm introducing today, Poom Seoul, is a place I proudly present as being a true representation of this line of cuisine in a contemporary way that doesn't bastardize the food or cut corners. Nestled on Namsan, Poom Seoul is just a few minutes above busy neighborhoods like Myeongdong. Ironically I actually live just a few minutes away here and a popular bus route I take daily, brings me by Poom Seoul all the time on the scenic Sowol road on Namsan. Its entrance is rather hidden amid bushes and trees so it had never really caught my eye in the many years I've lived in this neighborhood. Located somewhat mid-level on Namsan, the restaurant building offers gorgeous city views and a spacious, well-lit interior that has a simple layout to it including a large kitchen island of sorts where final plating and all is made before the dishes are brought out. The large windows brings some excellent city views with plenty of light while the interior has a simple yet elegant touch of Western modernism and Korean elements that don't, thankfully, clash together. The Korean furniture and design that are found here and there are done thoughtfully and gives it a warm touch, like you're at someone's home- obviously, an affluent home at that. Making good use of the famed Korean pottery and ceramics. Their menu points out they serve high quality, organic rice from Boseong, pork from Korea, and house-made kimchi with sun dried chili flakes. Before even the food comes one cannot help but be visually drawn to the rugged yet beautiful Korean ceramic serving dishes and bowls here. They could have gone with the standard metal bowls and whatnot like any other Korean course restaurant but instead these earthenware pieces add a touch of calm Korean opulence. Nibbles of dried jujubes and roasted pine nuts to kick off the meal. You can tell by the perfect level of roasting, and the subsequent full flavors, that a lot of care has already gone into the meal from the start. The first dish to arrive was the jat suran which roughly translates to pine nut poached egg. The description was intriguing as it was taking elements of the sea (octopus, shrimp, abalone) and land (poached egg, cucumber, pear, chestnut) and then somehow bringing it altogether with an even more fascinating combination of pine nuts and citron. Not knowing what to expect, I sipped the pine nut, citron base and immediately was wowed. What were essentially two polar opposite flavors -creamy/nutty and sharp/citrusy- somehow comes together in a beautifully smooth arc; just as the initial nutty flavors took root in your mouth it somehow takes a delightful, unexpected turn with the citron that wasn't at all jarring or unnatural. What's even more poetic about this amazing base is how beautifully it paired with the other ingredients. The seafood ingredients in particular almost seemed to come alive and swim in the flavors of this delightful base to enhance them and not overwhelm them. The demonstration of texture is also evident in what could have been a one-dimensional dish in terms of chew factor- a nice bite to the seafood dishes, good crunch from the pear and cucumber. And just when you think you've gotten to know this dish in full, in comes the beautiful golden poached egg yolk that adds a rich yet, not overbearingly so, element to the dish. Bravo. Knock-out dish on so many levels. The cold chuck steak naengchae was the next course with marinated and cooked chuck joined with lightly pickled radish, pear, water parsley, etc, with a light drizzle of sauce. Surprisingly light and delicate in flavor the water parsley and pickled radish envelopes the thin beef bites that almost epitomizes the late spring/early summer season in taste. The next course called wolgwachae derives from royal Korean cuisine of the Joseon Dynasty era. A variation of jabchae, the dish usually takes beef, zucchini, rice cakes, and vegetables like mushroom which are stir-fried delicately and lightly with soy sauce and other seasonings. It certainly isn't an "exciting" dish on first glance but this is where one needs to make use of their senses. Visually, on closer inspection, you’ll note that extra effort has gone into the dish. The zucchini has not only been julienned to perfect equal sizes, for example, but they’ve been deseeded to give it an unmuddled flavor and texture. You can also tell that the ingredients were not unceremoniously dumped altogether in a pan and cooked to achieve its results. Instead, each ingredient has been cooked separately to take into account their different cooking times and cooked over a lower heat, yielding their maximum flavors and hues- just look at how strikingly green the summer zucchini is. The flavoring is light, again, to take into account the ingredient’s aromas and scents- a perfect preview of, what was then, the oncoming summer season. In what was a winner across the board with everyone, the pork marinated with the pressed juice of onion and the fermented juice of anchovy and then charcoal grilled and served with fresh greens for wraps was a major highlight. When one explores Korean cooking deeper, many are surprised to find that often extra bold seasoning- like fermented juice of anchovy or pressed onion juice- if used right, are often used to eliminate unwanted flavors and scents (such as gamey smells). In this dish’s case you’ll find no traces of anchovy or onion in the flavors and instead the perfectly cooked pork neck pieces are cooked just right to not only be tender but with just a faint kiss of smoke from the grill. Add a piece of the soft pork to the extremely fresh greens, add just a touch of the homemade dwenjang (excellent dwenjang) and this is not your everyday Korean barbecue wrap. A similar variation of this heavenly dwenjang is offered in the last course before desserts for the barley rice bibimbap with manila clams. High quality honey, shiitake mushrooms, peppers are just some of the ingredients that goes into the slow steamed gan dwenjang. Even though the gan dwenjang is merely the seasoning for the barley rice, it’s what brings the flakey barley rice, soft clams, tender vegetables, and roe together. Such a mixed barley rice dish is generally associated often as being a country dish but the effort that goes into this luxurious variation is not at all forced or contrived and, in fact, may be the classiest (note: classy and fancy are different) bibimbap I’ve had. Who said dwenjang can't be fancy? Simple but clean pickled sides and dwenjang based soup to complete your Korean meal. The last dessert course is easy to mistake as being non-Korean but despite its appearance, it's decidedly Korean in soul. I’ve read Poom Seoul’s chef has a deep passion for making traditional Korean ddeok, or rice cakes. A sampling of that love and passion is shown through the basic rice cake made with makgeolli (with live cultures) and then the North Korean, Gaeseong-style rice cake pastry called gaeseong jooak that’s made with a buckwheat, glutinous rice, and makgeolli-based batter which is deep fried and then dunked in a pressed ginger-based liquid with honey. Then finally it finished off with a refreshing and palate cleansing yuza (citron)-based sherbet and omija jelly with fruit. Admittedly Korea isn’t well-known for its desserts culture but this last course was a clear indicator of its potentials with just the right amount of adaptation. I've reflected on this meal on several occasions since then, especially as Korean cuisine continues to grow in recognition and popularity. Some say Korean food is best represented by the everyday meals of regular Koreans from yesteryears while others argue why Korean cuisine, like French or Japanese, cannot be associated with fine dining. I have to say that Poom Seoul does a fine job in broadening the spectrum of Korean cuisine while demonstrating how painstakingly meticulous it is. Seasonal and prime ingredients are used to make everything- stocks, seasonings, bases, sauces, toppings- with particular attention made in how one can enjoy food beyond just taste. Whether one is familiar or unfamiliar to Korean cuisine, Poom Seoul is exceptional in enlightening one on the many intricate depths and layers of Korean cuisine. While Korean flavors are often associated as being bold and strong, Poom Seoul demonstrates that the spectrum of Korean cuisine also encompasses what is elegant and subtle. 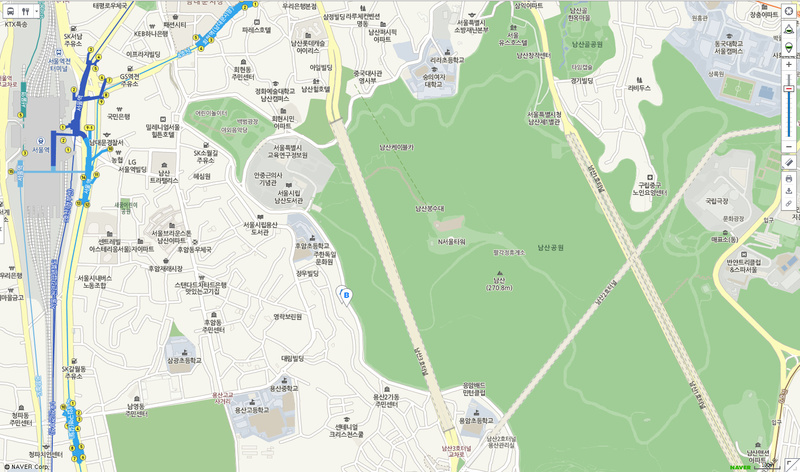 There's definitely no easy way of getting to Poom Seoul via a subway station. Taking a cab might be easiest but both the 402 and 405 buses pass through this area in which case you'll want to get off at the Huam Yaksuteo bus stop. The 402 bus services popular areas like Gwanghwamun (by the Sejong Center), Seoul Station, Namdaemun, Sinsa, Nonhyeon, and Gangnam. Since they've gone on to win a Michelin star, popularity is undoubtedly high right now. Make reservations... especially for those window seats! Just discovered your blog; it's awesome! Prepping for a trip to Korea in June, so your restaurant reviews will be of great help. Thanks and keep it up!